Forget your weight. Do this instead. How would you like to get rid of your bathroom scale? To never again subject yourself to the angst and humiliation of stepping on and waiting for the number-that-will-determine-your-self-esteem to light up the screen. It’s been ingrained in us from an early age to worry about our weight, however today I’d like to show you how the number on your bathroom scale is an unreliable measurement of your progress that should really be thrown out the window. Take that number with a grain of salt. Your typical bathroom scale is a digital gadget with serious limitations, attempting to measure your gravitational force. Digital scales must be recalibrated after every move. This means that if you pick up your scale and the place it down again you must press on the scale for a reading, wait for the numbers to clear, and then proceed with weighing yourself. Most people miss this step and end up with inaccurate readings. Digital scales must be placed on a hard, flat surface. Since the reading is coming from gravitational force, the slightest inconsistency with the weight distribution into the floor could skew the reading. Accurate scales only tell part of the story. At the doctor’s office you’ll encounter the more accurate balance beam scale. This scale directly compares your weight (gravitational force) to counterweights. The readings from balance beam scales are more consistent and accurate than digital scales. Even an accurate reading of your weight only tells part of the story. Your weight (gravitational force) naturally fluctuates throughout every day due to in the intake and excretion of fluids and food. A pound gained from drinking a large glass of water has no distinction from a pound gained as a result of fat storage on your body when measured on a balance beam scale. However these two weight sources will lead to two very different bodies! Body composition is what you’re after. Your body is composed of three things: fat, lean mass and water. An attractive, fit body is composed of a low amount of fat, ample lean mass, and healthy water levels. When you walk into the gym and tell me that you want to lose weight, what you’re really telling me is that you want to lower your percentage of body fat. Until you get back on the scale the following week to see that your weight has barely even budged. This normal ebb and flow of body transformation nearly always brings discouragement. You feel like somehow you’re failing since that initial weight loss has now slowed to a crawl. 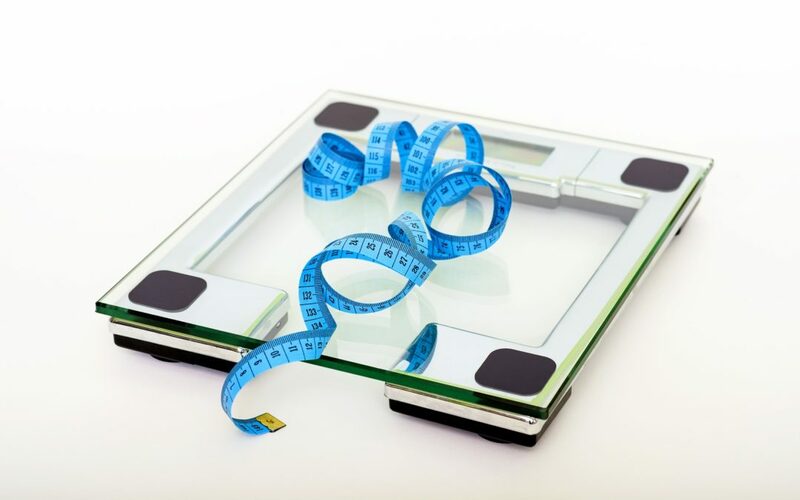 What’s crazy about the psychological mind game that the scale plays is that during the third week of a body transformation, when the scale shows the least impressive change, your body composition is actually cranking up to very impressive levels. So while you saw half a pound lost on the scale, behind the scenes you lost three pounds of fat. Remember that all weight is not bad. What you don’t like to see and feel on your body is fat. As noted above, fat is not the only thing measured by your weight. Those toned muscles that you want to have will bring up the number on your scale, but as long as fat is converting to lean mass, the result is a stunning body transformation. Pictures are more powerful than numbers! It’s possible to measure your body fat levels using different tools. These readings will give you a clearer picture of what is taking place beneath your skin, as your body composition shifts to a lower percentage of body fat. However, pictures are what I have found to be the most powerful measure of body transformation. A picture is truly worth a thousand body composition number readings! When you see two images of yourself, side-by-side, and your eyes take in the differences in the shape and appearance of your arms, legs and stomach it is truly a magical moment; a moment when you understand how silly the number on the scale really is in the face of your undeniable, stunning body transformation. If you’re ready to begin your own stunning body transformation, with the goal of lowering your body fat, feel free to reach out to me. I’m here to get you into the most spectacular shape of your life! Call or email me today. Let’s do this!